Environmentalists are warning that the government is wasting money on a program to diminish the wolf population, and say the money would be better spent on support for the Armenian army taken into account the recent border tensions. By the decision of the government 200 wolves are planned to be killed in Armenia, for which 24 million drams (over $41,000) were allocated from the state budget. A hunter, who kills a wolf, will be paid 123,000 drams (about $250). “Statistics show that attacks (by wolves on sheep) have not been diminished by hunting. We are going to allocate 24 million drams which will have no progress and no positive impact on rural communities. We realized that the money is being spent aimlessly and it should be directed to the army at such a critical moment for our country,” Silva Adamyan, the coordinator of the Public Environmental Alliance told media on Monday. 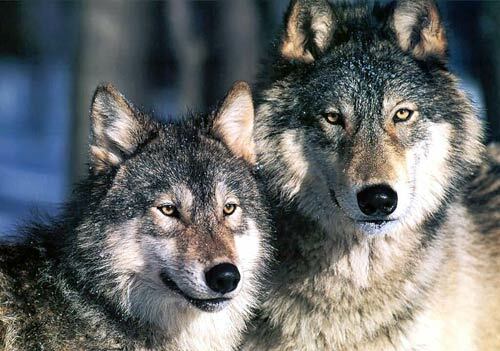 Environmentalists also informed that there had been no monitoring of the number of wolves during the last 20 years and they are going to once again appeal to the Prime Minister to transfer the amount of money to Karabakh. Environmentalist Karine Danielyan, the head of the Sustainable Human Development NGO, said that eco systems in Armenia are in poor condition and the habitat for wolves has been destroyed. Besides that, since hunting is not properly overseen in Armenia, people hunt wolves’ prey, and the latter remain hungry. “The wolf has to come out [of forest into residential areas]: it does not delight in this ‘war’. It is a very intelligent animal. This means that we have put the wolf’s territory under construction work, or have destroyed forest, that is, we destroyed its habitat,” she said. Environmentalist Karine Panosyan, in turn, said that the Ministry of Environment is trying to take steps towards a cooperation with environmentalists, but it is not clear on why such steps are not being made.